I’m from the south here in the United States and let me tell you, the south serves up some amazingly delicious food! 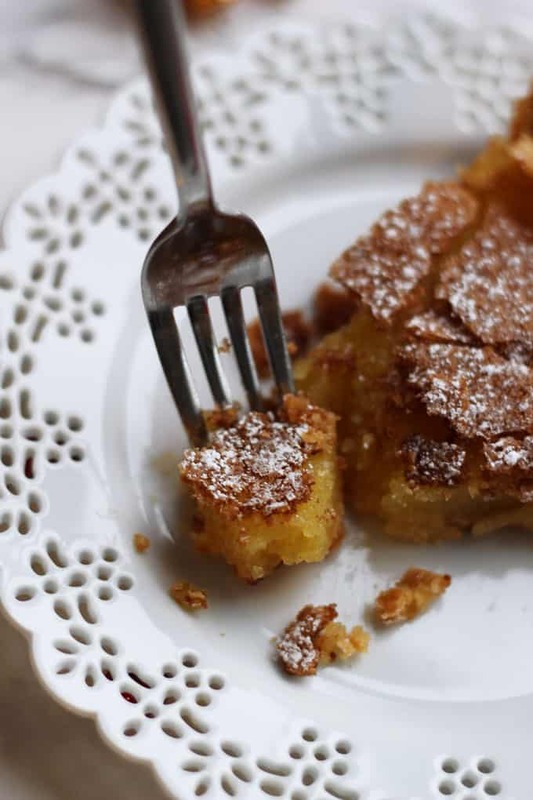 I am so excited to share this Chess Pie recipe with ya’ll, not only because it tastes so good but the story behind the name is a classic. I’ve mentioned before that my dad is a wonderful baker. Don’t get me wrong; he’s also a fabulous cook. Growing up as a child, he would always be coming up with the most wonderful recipes, like this Southwest Stew and let me tell you his recipes are so goooood! But daddy’s baked good are amazing! 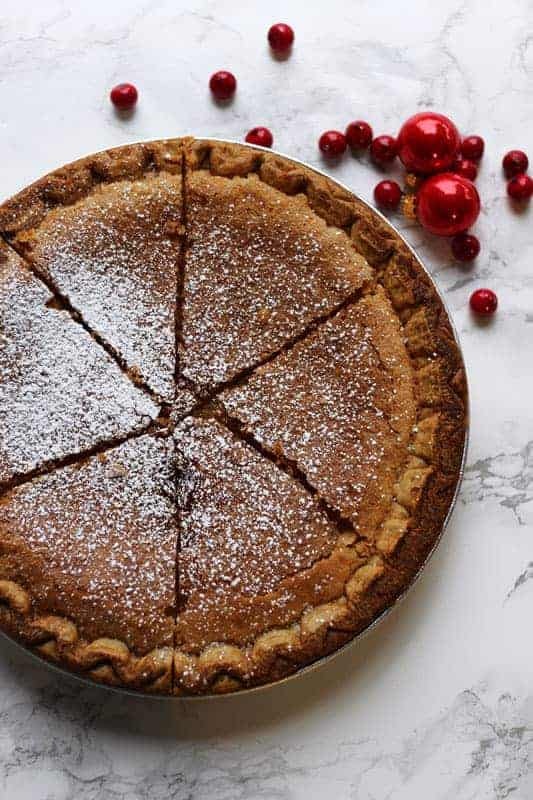 But what’s so funny is that the “Jest Pie” in a slow southern accent sounds like “Chess Pie”…so that’s where it the name Chess Pie comes from. For years, people thought Nanny Peach was saying “Chess Pie” because she has the thickest southern drawl in her voice! Gosh…I love this story and every time daddy re-tells it, I love it that much more! 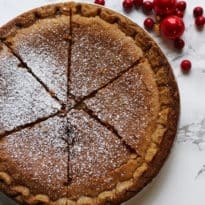 This Chess Pie recipe is super easy to make and when you read the ingredients list, you’ll see that you probably have most, if not all of the ingredients in your refrigerator and/or pantry. Daddy makes this Chess Pie year round. It’s perfect in the summer and perfect in the winter. 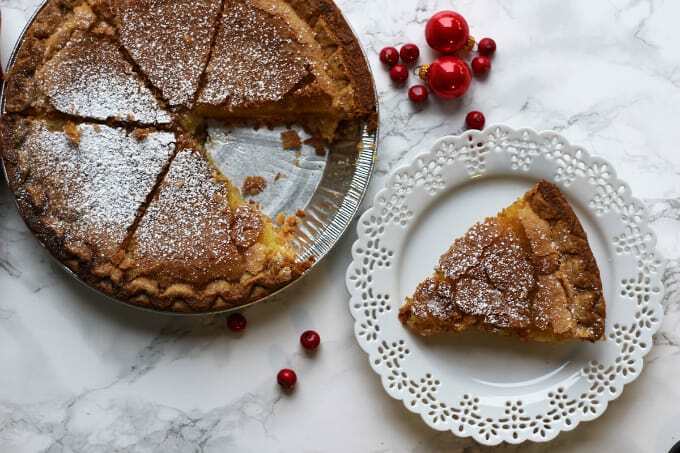 Since the holiday season has arrived, I’m excited to share this Chess Pie with you! It’s the most unique pie and a guaranteed crowd pleaser! And when your guests where the name came from, you can now tell my story! Oh, and for more of my daddy’s wonderful baked goods…check out his Homemade Red Velvet Cake and my Aunt Sondra’s Homemade Cinnamon Rolls. Happy Holiday’s my friends and Happy Eats! Rich, sweet and timeless. Everyone is guaranteed to love this Southern classic pie! In a large bowl, cream the butter with a hand mixer or standing mixer. Add all other ingredients into the bowl with the butter (excluding the pie shells) and mix on high speed until well blended. Pour mixture into 2 9 inch unbaked pie shells. This sounds delicious. I’ve never heard of Chess Pie before. I had this pie when i lived in the south, it was one that one of my sister-in-laws would bake. You’re right the ingredients are pretty simple and easy to come by. I hate recipes where i have to go searching many stores to find what I need. We live in a small town and gourmet ingredients are impossible to find. Your chest Pie looks so delicious. I’ve never tried it before. I’m not sure whether. I can do it or not, but I will give it a try. Thank you for your recipe. Love them. That looks yummy and I love the story to go along with it. Pinned. Great story and interesting pie! Looks great! Thank you for sharing on Merry Monday! Hope to see ya next week! Really unique ingredient to vinegar is in this pie recipe, interesting. That does look delicious and simple! I imagine the vinegar adds piquancy! 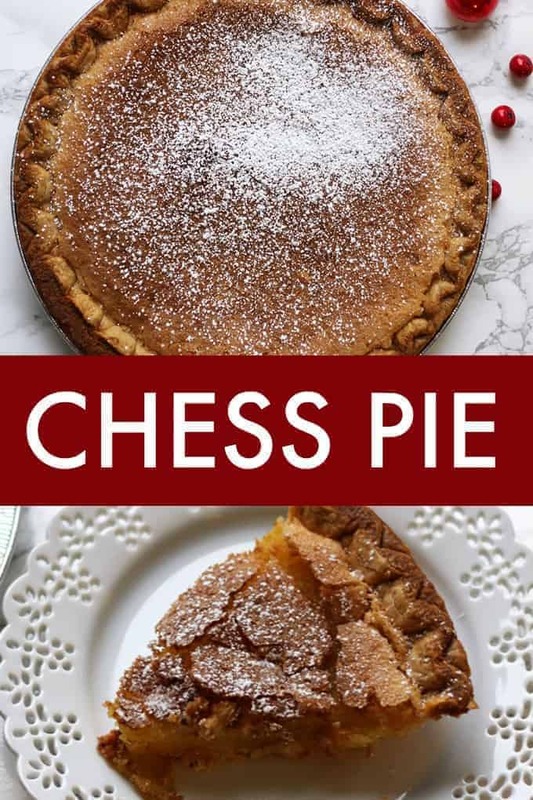 I’ve made so many different kinds of pies, but seeing this post I realize I’ve not yet made a chess pie! This one looks so good, I’d love to try it!